Bring your guests in from the cold with the bold, sweet flavor of an extreme caffeine mocha latte! When mixed with hot water, this drink powder produces a superb, smooth consistency for a delightful latte drink that your patrons will love. When morning comes just a little too early, this delightful drink mix offers 105 mg of caffeine to provide the burst of energy your customers need to start their day. Combining the bold taste of coffee, rich chocolate flavor, and the creamy froth of milk, this warm beverage mix produces an indulgent treat at the touch of a button. Top off the finished beverage with whipped cream, a drizzle of caramel sauce, and cinnamon or other spices for an extra special treat. 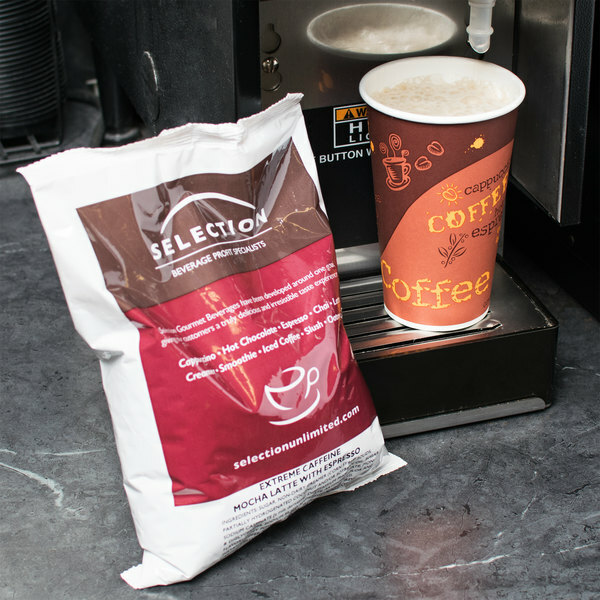 The perfect addition to any establishment, this latte mix is sure to please patrons at your coffee shop, restaurant, concession stand, convenience store, waiting room, or lobby. 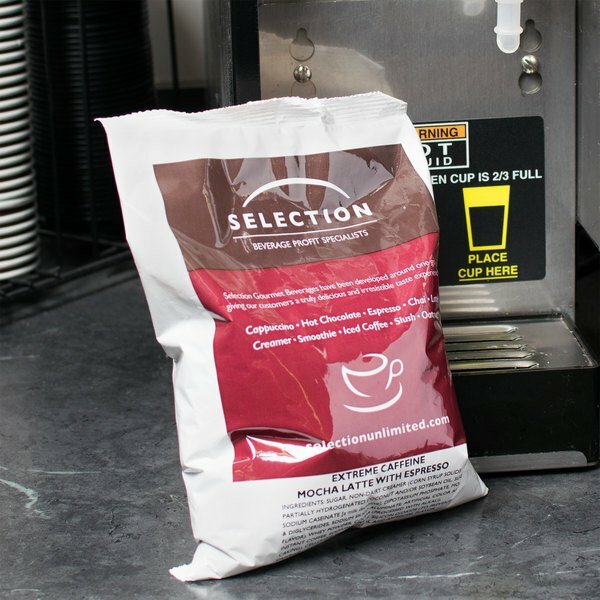 Easy to make and great tasting, this highly-caffeinated mocha latte mix allows your patrons to enjoy their cold-weather favorites in any season! 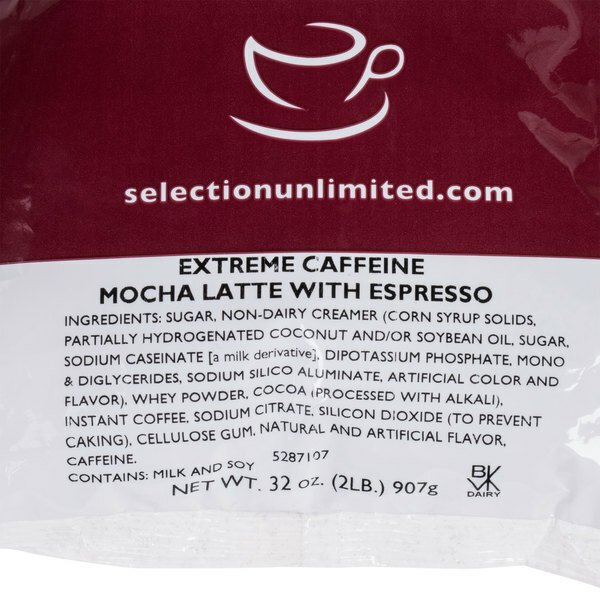 This extreme caffeine mocha latte mix comes with all the flavor and frothiness of decadent cafe drinks without all of the time and effort. This easy-to-use mix delivers a consistent product each and every time. Each 2 lb. bag of mix yields approximately (29) 8 oz. cups of latte. 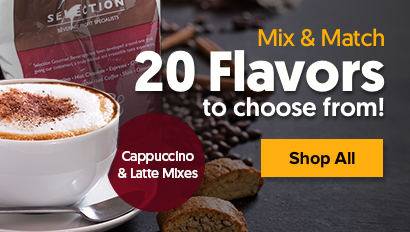 Serve it alone, or use it to complement sweet desserts or breakfast pastries - no matter what you choose, this extreme caffeine mocha latte mix will produce a latte that is packed with flavor. They say extreme caffeine but I don’t know maybe it’s just me. It seemed to have just enough kick. I want bouncing off the walls or anything like that. The extreme caffeine mocha latte is loaded with a rich chocolatey flavor and has an extra boost of caffeine. The mix is a wonderful price and we love the taste. Excellent price and quality. I was right, it tastes amazing my family loves it too as well as my customers. You should serve it with creamer. The Extreme Caffeine mocha latte is a sure pick me up for a day at work. This is a great mix with a wonderful chocolate taste. A great addition to our mix machine at work. 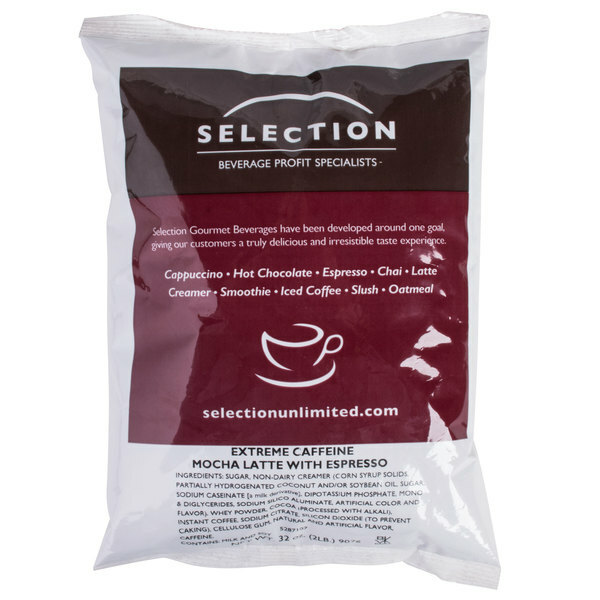 This extreme caffeine mocha latte espresso mix comes in a 2lb bag and a six case which makes it excellent for starting up your own coffee bar effectively with great flavors. When they say extreme, they mean extreme. wanna make sure that someone stays awake driving home late at night, try serving them this delicious expresso. It is powerful. almost guaranteed to delight and then keep you up for hours! 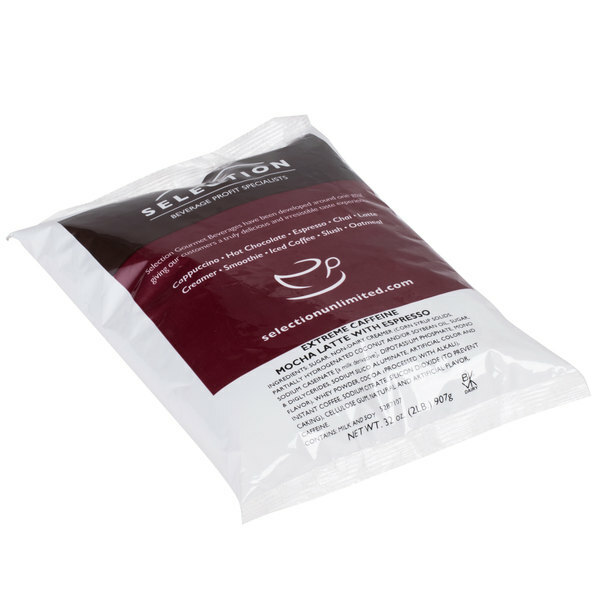 Product is pretty good except does not mix well with water so we used as a creamer sweetner and works well as that but would not recommend with commercial machines. Great for those days when I have to work late in the shop or have to teach an early morning class. Great taste with that extra energy boost from the caffeine.